There was a rather long story in today’s Detroit Free Press about the slow demise of bowling in this country. This makes me said for a few reasons. For one, where else can you rent an item of clothing that tells the whole world what big feet you have. Nothing like taunting Big Joey who stuffed his oversized dogs into a pair of size 13’s straining the laces to the point of stripping the aglets from the ends. We all knew he wore size 13’s because it said so on the back of his shoes. The first place I ever bowled was a place on Long Island called New Hyde Park Lanes. It’s where my father played in a league and it was pretty hot stuff that he had his own ball and didn’t have to slum it by using one of those hundreds of anonymous scratched, black balls on the racks. New Hyde Park Lanes never bothered to modernize. The ball return was a track along the surface between lanes, not the standard underground return. Until we were big enough to handle a regular bowling ball we were banished to the arcade version in the corner near the bar that used smaller duckpin type balls that had no finger holes. It was a big day where dad declared us ready to throw gutter balls using a real bowling balls where you stuck in your fingers after glopping sticky stuff on your thumb so it didn’t slip out. 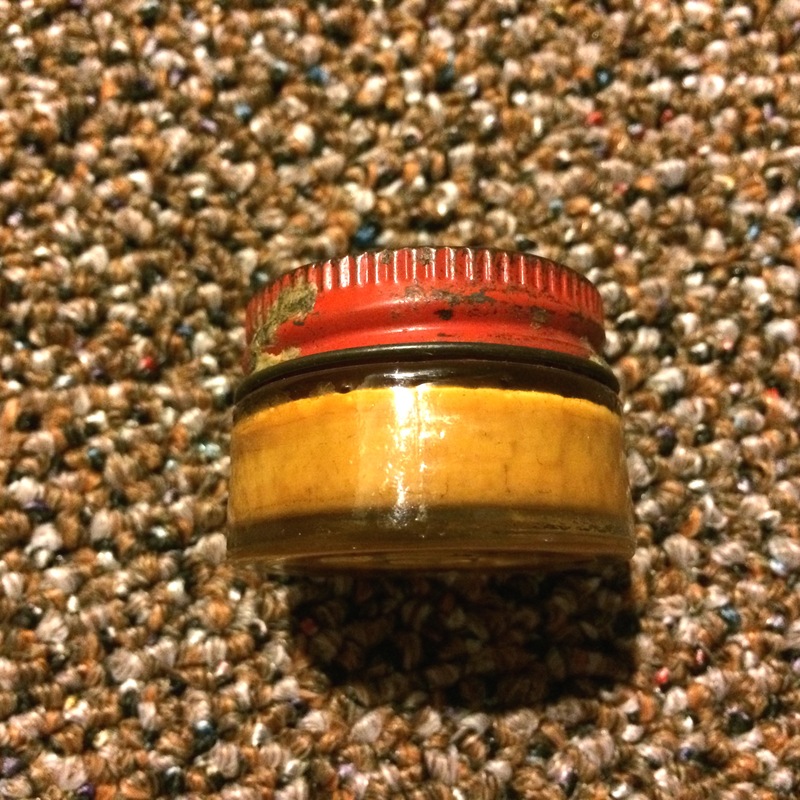 I actually still have an old jar of that stuff. See photo.It’s long been petrified. In our neighborhood of eastern Queens near the NYC/Nassau County line, the biggest bowling even was the opening of Sterling Bowl. It was completely underground–56 lanes and thorougly modern. The only thing above ground was a small entry building. To get down to the lanes was a cascading open staircase or an elevator. This place had it all. About a billion balls to choose from, shiny, laquered lanes and an awesome bar and bartender named Jimmy. As we got older Jimmy and his bar became a more important aspect of our Sterling Bowl visits than the actual bowling alleys. Jimmy liked us and bought us free drinks for every two we paid for and he provided a constant supply of salami and crackers. When I’d tell my mother the gang and I were going to Sterling she’d say, “Bowl well!” Except we never set foot on an alley or threw a frame. We did score with Jimmy, enjoying the free drinks and snacks we earned by tipping him well. Here’ in Michigan, my son and I enjoy bowling a few times a year at a fine establishment in Commerce Township called Wonderland Lanes. My son has autism and the owners of Wonderland are huge supporters of autism awareness and hold fundraisers there a few times a year. One time the late owner took such a liking to my son he let us bowl for free. 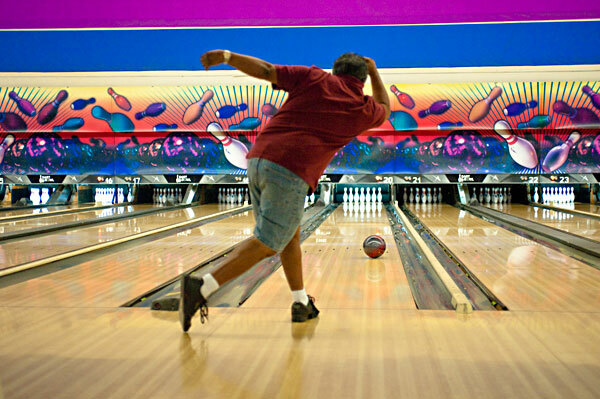 This is the part of bowling I hate to lose. Bowling centers, or alleys or lanes, or whatever you want to call them aren’t just places to participate in bowling, they’re community gathering spots, safe places to meet friends, make new ones, grab a beer and relax. No pressure. It’s nice to see some perceptive business owners incorporate bowling alleys into their restaurants and movie theaters, but the traditional neighborhood bowling barns are headed for their final frames, according to that story in the Free Press. Let’s hope not. I still use the bowling ball and bag my late father bought from a store in Manhattan forced to close when they grabbed the land to build the World Trade Center. It has his initials embossed in the ball. I may not ever bowl 300, but every time I use it I love knowing my fingers were where his were. But that’s bowling. 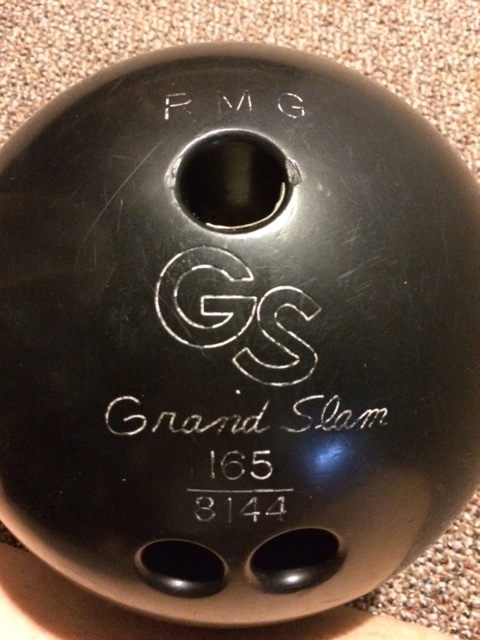 A heavy ball you stick your fingers in, rolling down the alley, aimed at knocking down those 10 pins., getting high fives and maybe a kiss from your girl if you succeed. A simple game that only required a ball, some friends, a beer close by and shoes that gave away your size…and a bartender in the lounge who may buy you back a few drinks and set up some free salami. We can’t lose that.